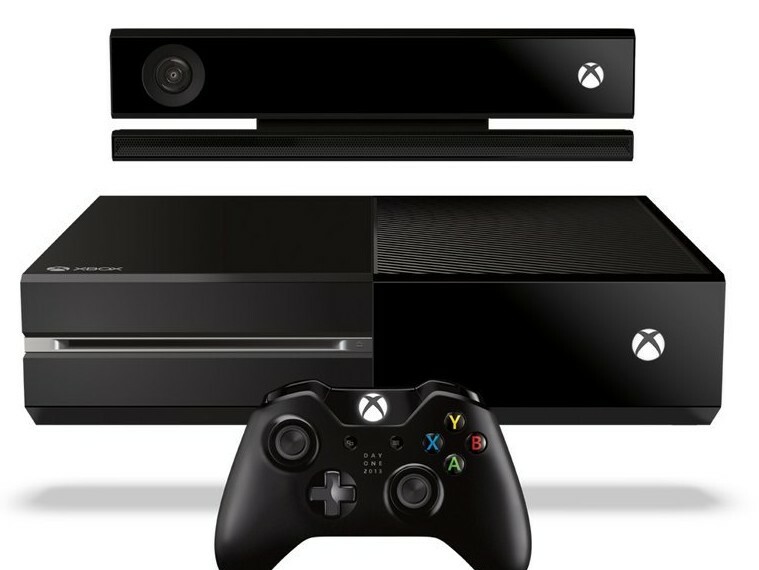 Xbox — MumbleBee Inc MumbleBee Inc. Enter daily for your chance to win your choice out of four game system prize packs! NO PURCHASE NECESSARY. Open to legal residents of the 50 United States (D.C.) 13 years or older. Ends 1/31/19. For information on this sweepstakes, including how to enter, odds, entry periods, and prize descriptions, visit the Official Rules. Void where prohibited. Sponsor: Nestlé USA, Inc., 30003 Bainbridge Road, Solon, OH 44139. Ten (10) VIP product coupons. Each coupon is redeemable for one (1) (up to $5.49) two-pack of HOT POCKETS® brand sandwiches. ARV: $54.90. Five (5) VIP product coupons. Each coupon is redeemable for one (1) free (up to $5.49) two-pack of HOT POCKETS® brand sandwiches. ARV: $27.45. 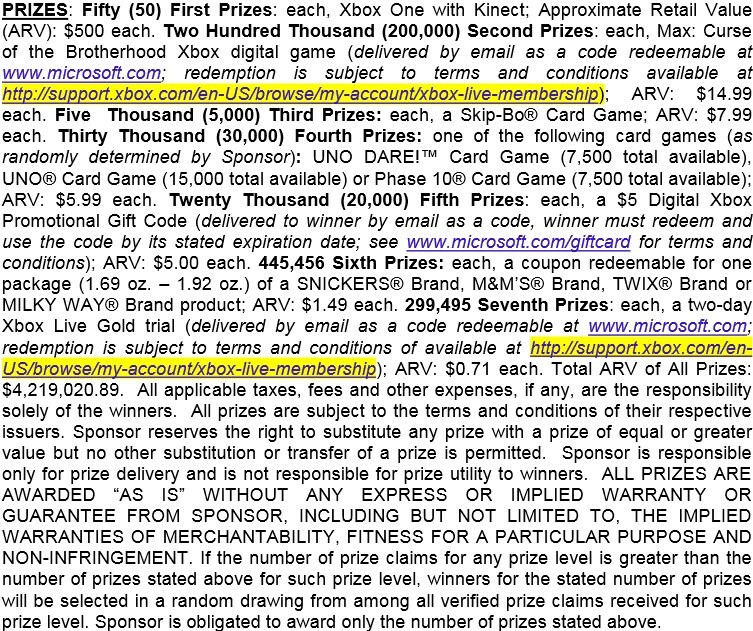 For All Prizes: The actual value of electronic prizes is subject to price fluctuations in the consumer marketplace based on, among other things, any gap in time between the date the ARV is estimated for purposes of these Official Rules and the date the prize is awarded or redeemed. No additional payment will be made to winners should stated ARV be higher than actual cost of prize. Winners are responsible for all taxes and fees associated with prize receipt and/or use. Odds of winning a prize depend on the number of eligible entries received for each applicable drawing, during the Promotion Period. Limit: one (1) prize per person/email address, per Promotion Period. Be sure to play every day and grab a coupon for 50¢ off Jack Link’s Protein Snacks. No Purchase Necessary. Promotion begins on 11/7/17 at 12:00:00 AM (ET) and ends on 3/31/18 at 11:59:59 PM (ET). Open only to legal U.S. residents residing in the 50 U.S./D.C. who are 18+. See Official Rules at www.wildgamingpromo.com for how to enter, additional eligibility restrictions, prize descriptions/restrictions and complete details. For text entry – Message and data rates apply. Check your carrier for details. Text “STOP” to 86677 to stop. Text “HELP” to 86677 for help. Subject to complete Official Rules. Void where prohibited. Sponsor: Link Snacks Inc. Microsoft is not a sponsor of this promotion and is not responsible for its execution or administration. a)Text Message: From your SMS enabled wireless device, text keyword “WILD” (“Keyword”) to the short code 86677 (the “Short Code”). You will receive a reply text including a link to participate in the Promotion. Click through the link to be redirected to game play and follow the on-screen instructions to provide your email address and date of birth and see if you are a winner, subject to verification of eligibility. You must follow all instructions in order to be eligible for a prize. You will be notified instantly upon completion of participation as to whether or not you are a potential winner, with instructions on how to verify your eligibility and claim the prize. You may receive several text messages in response, including legal disclaimers and options to receive future promotional text messages from Sponsor. You may opt-out of receiving future messages at any time by sending the word “STOP” to the Short Code. The text messaging method of entry is designed to work with most of the major wireless service providers in the United States, but Sponsor makes no guarantee that any particular wireless service provider will participate, and the mobile phone that is used must be capable of sending and receiving text messages. Entrants should check their phone’s features to see if they have that capability. MESSAGE AND DATA RATES MAY APPLY. Wireless service providers may charge entrants for each text message, including any error message that is sent and received in connection with the Sweepstakes, based on the applicable wireless service pricing plan. Entrants should consult their wireless service provider’s pricing plan for details. Proof of text messaging the Short Code is not considered proof of delivery to or receipt by Sponsor of such entry. Entering by sending a text message will not improve your chance of winning. b)Online: During the Promotion Period, Go to wildgamingpromo.com (the “Website”) and follow the on-screen instructions to provide your email address and date of birth, and see if you are a winner, subject to verification of eligibility and compliance with these Official Rules. You must follow all instructions in order to be eligible for a prize. You will be notified instantly upon completion of participation as to whether or not you are a potential winner, with instructions on how to verify your eligibility and claim the prize. Limit one (1) entry per person and/or per email address per day. For purposes of these Official Rules, a “day” is defined as any twenty-four (24) hour period during the Promotion Period beginning at 12:00:00 AM (ET) and ending at 11:59:59 PM (ET). BIG NIGHT IN GAME. NO PURCHASE NECESSARY. PURCHASE WON’T INCREASE CHANCES OF WINNING. Begins Noon ET on 2/16/15 & ends 11:59:59 AM ET on 4/16/15. 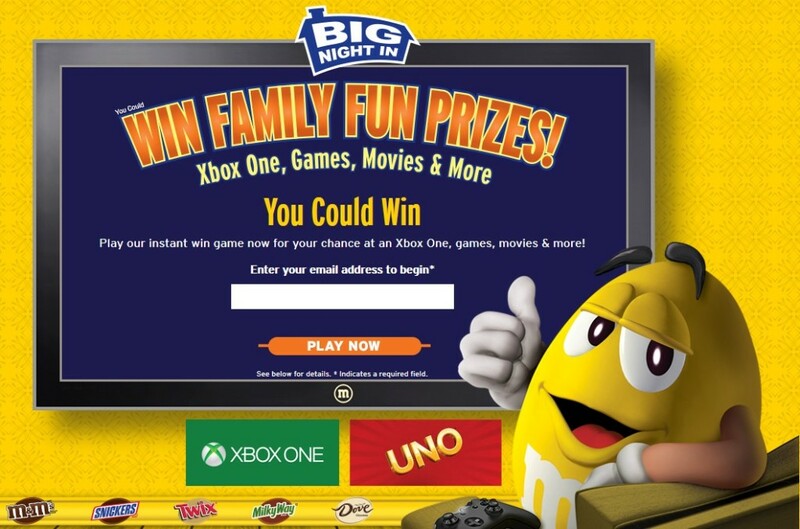 To play, text FAMILY FUN to 87654 (3 sent messages required per play. Message & data rates may apply.) or visit www.familyfun.mars.com. Open to individual legal residents of 50 US & DC, age 13 or older at time of participation. Additional terms apply. Participation subject to Official Rules at www.familyfun.mars.com. Void where prohibited. All federal, state & local law, rules & regulations apply. Sponsor: Mars Chocolate North America, LLC. ®/TM trademarks ©Mars, Incorporated 2015. All trademarks are property of their respective owners. Microsoft is not a sponsor of this promotion. UNO and associated trademarks and trade dress are owned by Mattel. ©2015 Mattel. All Rights Reserved. 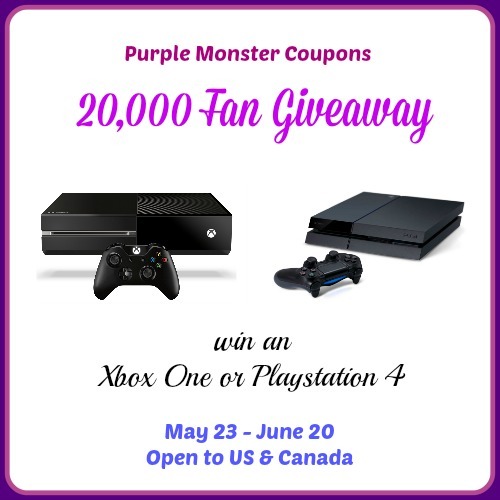 Purple Monster Coupons is PROUD to put together this AWESOME giveaway! Less than a week ago we hit 20,000 fans! How awesome is that??!!?? Alaina and myself have been working together since September last year and there was only about 1000 fans when I joined. I never thought we would grow this fast! We wanted to put together this awesome giveaway, as a way to thank all of our AMAZING fans! Thank you again for being so loyal and I hope we can keep growing just as fast!! giveaway ends June 20 at 12:00 pm EST. Purple Monster Coupons will be shipping the prize!